You would think that I am just a small minority of people that would really dig the American lifestyle, especially the Vintage era too- But you would be so wrong, People all over the world are as nutty as Hot Rods and the lifestyle as me. So today I thought that I would add some video’s that I enjoy and I am sure you will too. Below is a video from Down Under and as I did live there for 4 years, wanted to add this fella’s place and its really cool too. “The year is 1947, an ex-serviceman returns home to Southern California. 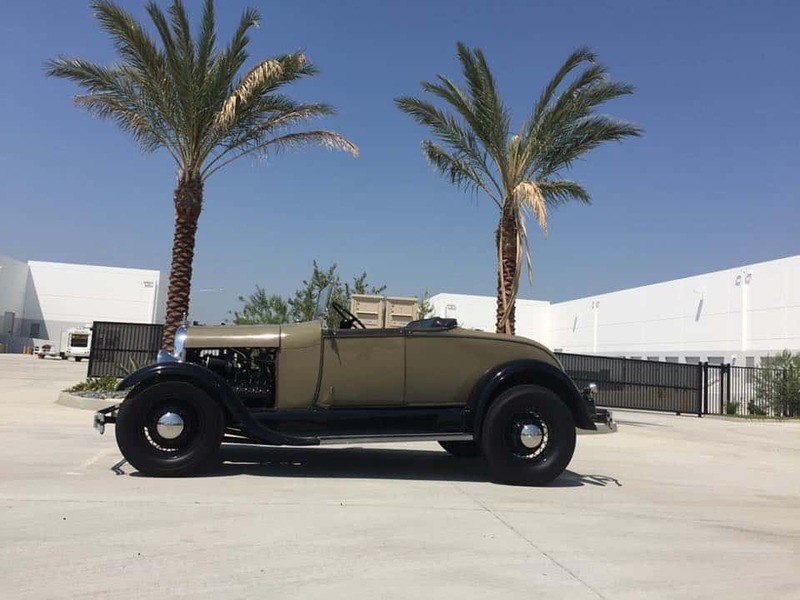 His old ’32 Ford Roadster is removed from the shed, and the guts of a wrecked ’39 Mercury sedan are transplanted in, giving more power, braking and top speed, essential for the dry lakes racing career he will embark on. He outfits the motor with products from the growing speed equipment industries catalogues, and races his car against fellow car club members and the clock. The car also serves as daily transport for him in the mild So Cal climate, the loud twin exhausts upsetting the locals still not used to the returned soldiers need for peacetime thrills. The era immediately following WW2 in Southern California was the time frame and inspiration for me to build an accurate recreation of a stripped down, dry lakes racing, late forties street roadster. Something of a time machine, so that a drive down the street or across the state could become a journey back sixty years. Rancho Deluxe from Long Walk Films on Vimeo. Below is another bunch of Hot Rodders but this time it is in New Zealand, they have some serious machines and are as passionate about Nostalgia as I am. Hot Rod Revue: Frankton Roadsters from Cal Thorley on Vimeo. How about this awesome 1932 Roadster with a Riley Overhead valve conversion, piece of art I think, Love this Basso 32. Next up is some cool vids of flattys. This entry was posted in Blog and tagged 1928, 1929, 1930, 1931, 1932, 1939, 21A rods, 29av8, 40 ford, 5 window, 59AB, 8BA, 8CM, 94, 97, Auburn, Banjo wheel, belly tank, Brookville, Cabriolet, chris craft, Clay smith, Columbia, coupe, Duvall, Edelbrock, Evans, flathead v8, flatty, grand national roadster show, Halibrand, Hallock, Harmon & collins, Hilderbrandt, hot rod, Isekendariun, Juice Brakes, kelsey Wires, Kong, LA Roadsters, lakester, Magneto, McCullough, Mercury crank, model A, model B, Mooneyes, Navarro, nhra, Phaeton, PM7, quick change, Radius Rods, roadster, Roof, SCOT blower, sedan, Sharp, side valve 24 stud 21 stud, steelies, Stewart Warner, stromberg, Teardrop, Thickston, three window, Torque tubes, V860, Vertex, vhra, wishbones.